More and more people tend to adopt vegetarian diets to detoxify their bodies and to increase the consumption of healthier foods. Learning some facts about vegetarianism that might convince you to go green and follow a sustainable way of leaving. You should remember that consuming meet eventually drives to water pollution, air pollution and soil pollution due to the waste gathered from livestock farms around the world. Choosing a vegetarian diet will help you contribute to the reduction of pollution and you will also improve your health. 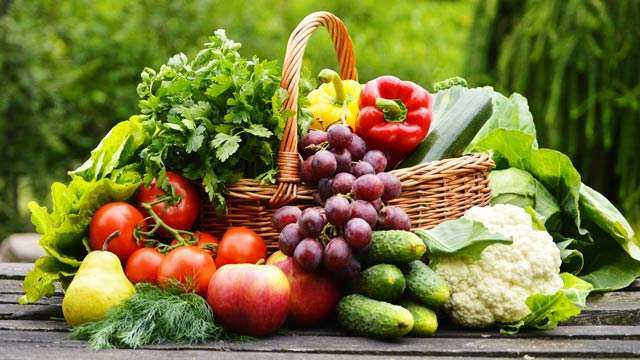 Consuming home-grown vegetables will provide you the necessary amount of vitamins and minerals to lead a healthy life. In what follows, we will provide a list of interesting facts about vegetarianism to make you more curious. Studies indicate that in order to trigger your body’s metabolism, you should start a plant-based diet. In this way, you will determine your body to consume calories 16% faster than it would when following a meat-based diet. Many researchers show that human bodies are actually designed to be herbivores even if some studies show we are capable of digesting meat. One of the most interesting examples is that human molars are shaped just like any herbivores’ molars, being blunt and flat. Therefore, they are good for grinding and not for tearing meat. Vegetarianism first appeared in Greek and ancient Indian philosophy. In India, the source of vegetarianism is nonviolence towards animals, known as the philosophy of ahimsa. Therefore, Greeks considered that a vegetarian diet has medical and ritual purposes. In 1847, the first Vegetarian Society developed in England. Furthermore, their primary goal was to teach others that you can be healthy without consuming meat. The average American consumes about 222 pounds of meat on an annual basis. This statistic does not include seafood. There are several types of vegetarianism. Vegan is one of them, being known as the strictest one. Vegans do not only avoid meat but all the products derived from animals, like eggs, milk and cheese. People derived the term ‘vegan’ from ‘vegetarian’. Donald Watson and Elsie Shrigley first used this term when they thought that being a vegetarian includes several animal by-products. Therefore, this did not involve an entirely plant-based diet. Studies indicate that a plant-based diet feeds more people than a meat-based one. For instance, 80% of all the corn in the United States is consumed by livestock while only 20% of corn is eaten by people. If people opted for a plant-based diet, they would diminish soil and air pollution. Statistics indicate that the total production of excrement of the U.S. population is approximately 12,000 pounds/second. However, the total production of excrement produced by U.S. livestock is 250,000 pounds/second. Therefore, if humans would reduce the consumption of meat, the amount of pollution would be reduced. Try out a plant-based diet to detoxify your body and become healthier. To produce 1 pound of wheat, people should consume 25 gallons of water. Nevertheless, to produce 1 pound of meat, farmers need to consume 2,500 gallons of water. People may choose to become vegetarians for several reasons including, economic, aesthetic, cultural, environmental, political and health reasons. The most frequent reason relies on ethical objections regarding animal cruelty. The first Renaissance figure who promoted vegetarianism was Leonardo da Vinci. Historical data indicates that he was a vegan, arguing that humans do not have the right to eat animals. A study from 2008 developed by Time indicated that the number of U.S. vegetarians amounted at 7.3 million adults. Therefore, 3.2% of the population followed a plant-based diet. A British study claims that kids’ IQ could predict the odds of becoming a vegetarian. Hence, the higher the IQ, the higher were the chances that the child would become a vegetarian. Apparently, vegetarians’ intake of protein is only a bit slower than that of people who consume meat. If they use a wide variety of plant sources, vegetarians can have a diet rich in proteins. The American Dietetic Association (ADA) claims that a vegetarian diet is much healthier than a meat-based one. Vegetarians tend to have lower ischemic heart disease death rates, decreased blood pressure, lower cholesterol levels, decreased body mass indices, lower rates of colon cancer, prostate, type 2 diabetes, and hypertension. Voltaire, the French philosopher, is famous for becoming an important historical figure supporting vegetarianism. A lacto-vegetarian consumes dairy products but not eggs. An ovo-vegetarian eats eggs but avoids other dairy products. Several theologians claimed that a vegetarian diet fits Christian values like compassion and mercy. Some specialists claim that Jesus was a pescatarian. An ovo-lacto vegetarian consumes bot dairy products and eggs. A pescatarian is a sort of vegetarian who eats fish. The term occurred in 1993, being a blend of the word vegetarian and the Italian word pesce. A fruitarian is a vegetarian who only consumes fruits, seeds, and nuts without killing the plant. Elizabeth Blackburn, a Nobel Prize winner, claimed that a vegan diet managed to alter about 500 genes in the body in only three months. This sort of diet activated genes which prevented certain diseases and deactivated other genes which triggered cancers. Unfortunately, vegetarians cannot get vitamin B12 since this vitamin comes only from animal sources. The lack of vitamin B12 may cause bone deficiencies. In the U.S., people kill about 500,000 animals for meat every hour. One of the most popular American vegetarians was Benjamin Franklin. He introduced tofu in the U.S. in 1770. Apparently, later in his life, he became a meat eater again. Plants appear to provide 10 times more protein per acre compared to meat. A Buddhist vegetarian does not consume vegetables in the Allium family (chives, garlic, shallots, onion) nor any animal product. They argue that the smell of these vegetables can “anger up the blood”. All these amazing facts about vegetarianism will help you identify the advantages, disadvantages and some of the curiosities of the world of plant-based diets. Some people are ready to go that extra mile and avoid eating not only meat but also other animal by-products or even particular vegetables. If you want to go green, here, you can find plenty of reasons.